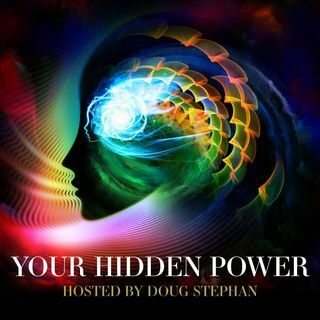 Host Doug Stephan welcomes Medical Intuitive Julie Ryan. www.askjulieryan.com Julie can sense what medical conditions and illnesses a person has and can facilitate energetic healings. She can see energy fields—and can communicate with spirits both alive and dead. In this interview, she explains what happens after you die. Although the medical intuitive aspect of her life has been an amazing side interest, she's basically a businesswoman, an inventor, an author, and a serial entrepreneur. ... See More She's invented surgical devices that are sold throughout the world. Next, Mystifier Uri Geller www.urigeller.com talks about being a judge of TC's "Israel's Got Talent" and has news about implanting microchips in our brains. Then Host Doug has a paranormal experience, live on the air with Psychic Scout Mary O'Maley. www.psychicscout.com Finally , Astrologer Maria Francesca Triliegi www.mariafrancescatriliegi.com explains how the current Mercury Retrograde is different from others.